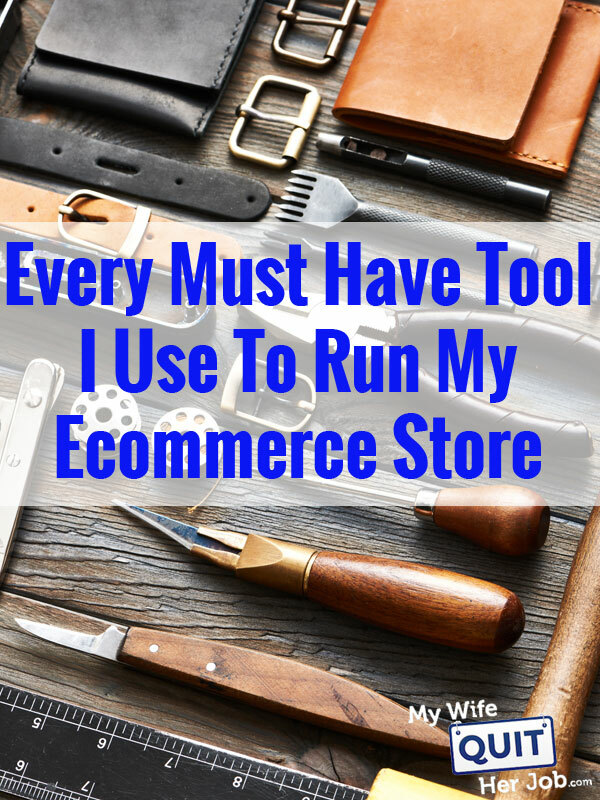 I am often asked what services I use to run my ecommerce store so I put together a quick list of my favorite tools for you today. First off, if you’ve followed my blog for any length of time, you are probably aware that I pride myself on coding many things myself. In fact, I’ll often go out of my way to AVOID paying for any apps at all if I can come up with a poor mans solution that doesn’t carry a recurring cost. Anyway, the first half of this article will discuss the tools that I use for my own ecommerce website. And at the end, I’ll talk about what services I use for Amazon. Want A More In Depth Explanation Of Every Tool? 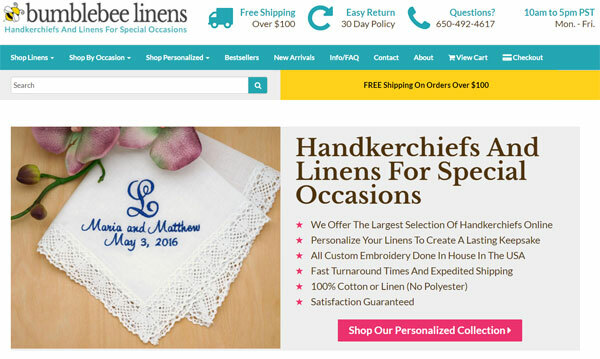 In case you are new to this blog, my wife and I run an ecommerce store called Bumblebee Linens where we sell handkerchiefs and linens for special occasions. If you go to my site, you can see how the various tools mentioned below are integrated into my shop. Enjoy! Storm On Demand is the webhost that I use to run BumblebeeLinens.com. Not only are they robust but they also offer excellent fully managed support. Whenever I need a new feature installed on my server, I simply send them an email and it’s installed within a day. What’s nice is that as my site grows, I can upgrade to the next size server at a push of a button. Right now, I’m paying $100 per month and I’m running multiple websites on the same machine. If I were on a fully hosted shopping cart platform, I’d easily be paying $500 or more. Siteground.com – This inexpensive web host is the shared host that I’m currently recommending to the students in my class. Their customer service is top notch! Bluehost.com – This inexpensive web host is adequate until you exceed 300-500 hits per day of traffic. It only costs $2.95/month and we outgrew this host after 2 years. ServInt.com – I had a really bad experience with these guys which made me write the following article on How To Choose The Best VPS Hosting – Virtuozzo Or OpenVZ Vs Xen Vs KVM. Not recommended for high traffic sites. My store currently runs on a HEAVILY modified version of OSCommerce that I’ve patched and supported for the last decade. I know almost the entire codebase by heart and can easily make modifications myself. Instead, here are my recommendations. 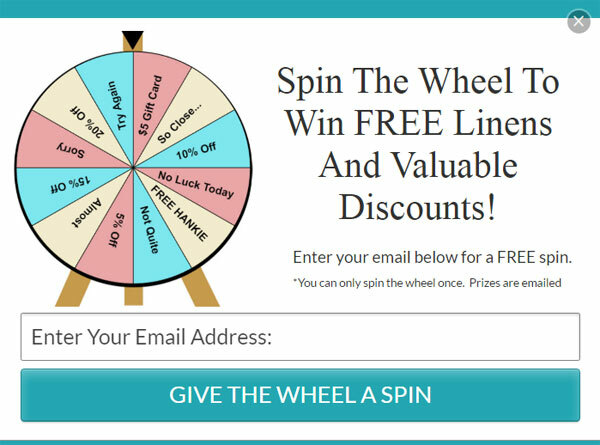 Klaviyo is the email marketing tool that I use and highly recommend for ecommerce stores. The only issue I have with Klaviyo is that they are fairly expensive compared to other email platforms. But right now, they are the best. Because Klaviyo costs so much, I often get asked for cheaper alternatives which I’ve listed below. ConvertKit – More suited for blogging than ecommerce but can be adapted for physical products. 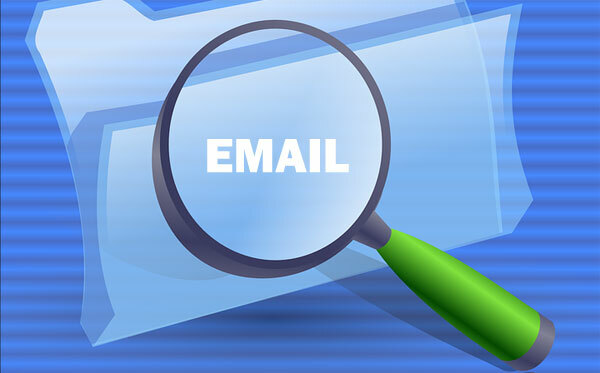 I’ve also written extensively about email marketing on this blog using Klaviyo. Here are some of my articles. In general, I don’t use email list growth software for any of my sites. After all, it’s pretty straightforward to install an email form if you are comfortable with basic web design. However over the years, I’ve changed my stance on some of these 3rd party services because it can save you lots of time. In fact, last year I managed to increase my email signups 131% by using a third party service. Right now, I’m using Privy for all of my popups and forms on my ecommerce store. Not only are they free but they have an intuitive drag and drop interface to easily design your forms. 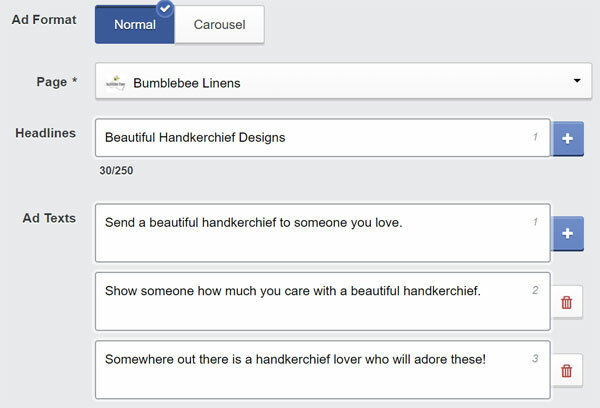 For the Bumblebee Linens blog, I’m using Sumo.com for my share buttons and a few of the forms. What’s the difference between the two? Not much. Sumo.com caters more to blogs whereas Privy is designed for ecommerce. Also, Privy is the only one with a built in wheel of fortune popup. I haven’t talked about push notifications much yet on my blog but they are a great way to bring people back to your site. 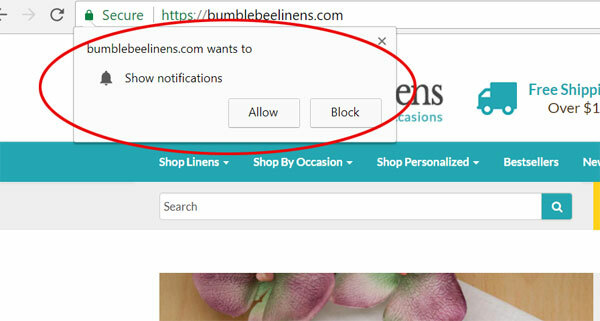 When people land on your site, they are prompted to receive notifications. Here’s what a request looks like. If the visitor opts in, you can send them messages directly to their browser and smart phone! Right now, I’m using Vizury for this and they offer push notifications on steroids! I’ll write more about this in a future post, but Vizury allows me to send abandoned cart notifications, winback notifications, cross sells on auto pilot using data from my product catalog. I’m not sure if these guys are out of beta yet but check them out! Now there are a bunch of shipping services out there like ShipStation and ShipWorks but at this point, I think Stamps.com owns them all and they are all very similar in functionality. The thing I like about ShippingEasy is that they offer a free plan for new merchants. You only have to pay once you’ve reached sufficient volume. And for that reason, I recommend them over all the others. If you’re on a fully hosted cart like Shopify, you don’t have to worry much about payment processing. 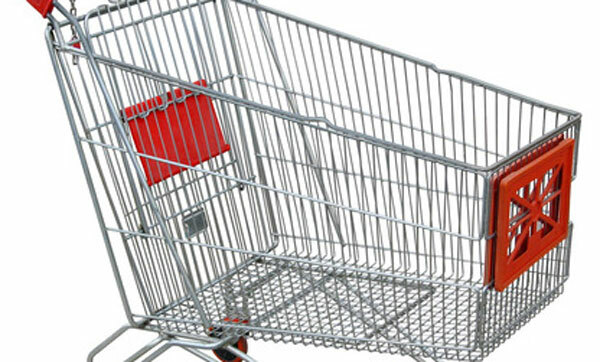 But if you run your own cart, you’ll need a way to accept credit cards online. We actually use 3 different merchant processors, Paypal, eMerchant and Stripe. Now why the heck would you need 3? Believe it or not, Paypal goes down all the time. And in the event that they ever freeze our account, we have a backup processor in place. Editor’s Note: MyWifeQuitHerJob.com’s Paypal account was recently frozen for no reason whatsoever! In fact on occasion, we’ve had transactions taken over the phone that would not go through on Paypal but work fine on Stripe. Of the 3, eMerchant is the cheapest but Paypal is much more widely used, especially on mobile. Even though the Facebook editor is powerful, it’s extremely clunky when it comes to setting up multiple tests. As a result, I use a tool called Adespresso to dramatically speed up the process. Let’s say I wanted to test 3 different ads across 3 different age groups. If I were to do this with the power editor, I’d have to create 9 different ad sets by hand. No thank you! With AdEspresso, I can do this with a click of a button. Then, once the ad is running I get instant stats and recommendations on what’s working and what’s not. I don’t think I could live without this tool for Facebook ads. To research Amazon products to sell, I use Jungle Scout. If you haven’t heard of Jungle Scout, it is a tool that tells you how well a product is selling on Amazon. Here’s an example of a Jungle Scout report for garlic presses. For all research that is website related, I use a tool called Long Tail Pro. Long tail pro tells me how often a keyword is being searched for and how easy it is to rank for in Google. Before I list any product or write any blog post, I run EVERYTHING through this tool. Here’s a report I generated for garlic presses on Google. Before I place a bulk order, I always double check that I can liquidate my products on EBay just in case sales don’t meet expectations. Terapeak is a took that scrapes all of Ebay’s completed listings so you can figure out how well your product will sell. I haven’t written about this on the blog yet, but I managed to replace half an employee at Bumblebee Linens by using a program called WinTask to automate almost 4 hours of work every day. WinTask is a tool that allows you to use write scripts to automate anything that runs on a Windows PC. Because a lot of our embroidery software is PC based only, this tool was a lifesaver. Stay tuned for a full blown post on this topic. Because Amazon’s advertising interface is so bad, I use Ignite to manage all of my Amazon ad campaigns. If you are not familiar with Ignite, it’s a tool that allows you to get keyword and bid suggestions to optimize your ad campaigns. It also makes all of your conversion data easily accessible so you can make real time decisions. Now is using Ignite absolutely necessary? Yes and no. But here’s my philosophy on running ads. If I have to jump through hoops to get to my data, I will never take action. In order for me to do optimize anything, I need all of the information at my finger tips. Ignite provides me with all the info I need to run my Amazon ads WITHOUT having to waste time generating excel reports. If you don’t know what you’re doing with Amazon PPC, Ignite also makes intelligent suggestions on how to improve your campaigns. Several students in my class are using this tool with great success. Bottom line, I don’t even know what Amazon was thinking when they designed their ads interface. It’s terrible. Most of the sales on Amazon are driven by search terms that people enter into the search bar. As a result, it’s important to know what people are typing in to buy your products. Today, I use Scope to select keywords for all of my listings. 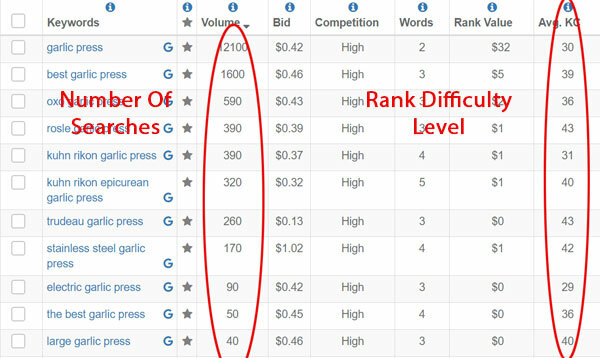 In addition, I use Scope to discover seed keywords for my Amazon Sponsored Ad campaigns. I have no idea why Amazon makes it so difficult to calculate your actual profits. 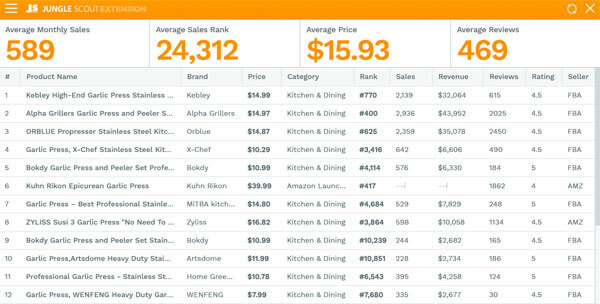 But if you were to try to figure it all out yourself by generating reports in Seller Central, you’d probably go crazy. What I also like about Fetcher is that it’s inexpensive which makes it an easy recommendation. Because I run multiple businesses, I don’t have time to go through and check each of my SKUs on Amazon on a regular basis. As a result, I rely on automated alerts to tell me when something is wrong. Efficient Era is an incredible tool that monitors your listings for anomalies and allows you to address your problems BEFORE they get bad. In addition, they monitor your feedback and provide an easy to use interface for managing reviews so you can address your customer service issues quickly and efficiently. I’ve written extensively on this topic in my post on 5 Amazon Alerts That Will Change The Way You Manage Negative Feedback, Inventory And Sales. Check it out! Looking at this list, it’s actually shocking how many services that I use to run my ecommerce business. And truth be told, I run everything pretty lean compared to most of my colleagues. My recommendation is to NOT be tempted to sign up for everything. Go through each product and see if you really need it. And don’t forget to monitor your monthly bill to make sure that you are actually using a service before continuing to pay for it. For example, many of the research tools can be purchased on a monthly basis ONLY when you are doing research. On the other hand, webhosting and email marketing are required monthly expenses. Wow, it is amazing how much knowledge you have gained by building your own online business from scratch. It is very honorable to see someone that did it the right way and doesn’t push a get rich quick scheme. I will definitely pass this article along to some of my friends. Do you have experience with using MailChimp with an Ecommerce website? I’m interested to get your take on how the ESPs you mention (AWeber, ConvertKit, and Klaviyo) match-up to MailChimp’s automation features for Ecommerce. I’m currently using MailChimp for promotional emails and triggered emails (and journeys), mostly because it’s a free platform for the level of emails I’m sending. am especially interested in the upcoming article about PC automation with wintask. Hi! Thanks for the wonderful article. I’d also add helpdesk software to the list, without proper support you can’t retain customers. We are using Deskun.com at the moment, but there are lots of them on the market. I have an e-commerce website, and I know how difficult it is to run it, especially bringing the customer to the store. There are so many aspects that we need to focus on. This tools will make our life easier. Thanks a lot for the post. Hi Steve! Thank you for sharing the tools you use! I was wondering what inventory software you use for multi channel inventory tracking!